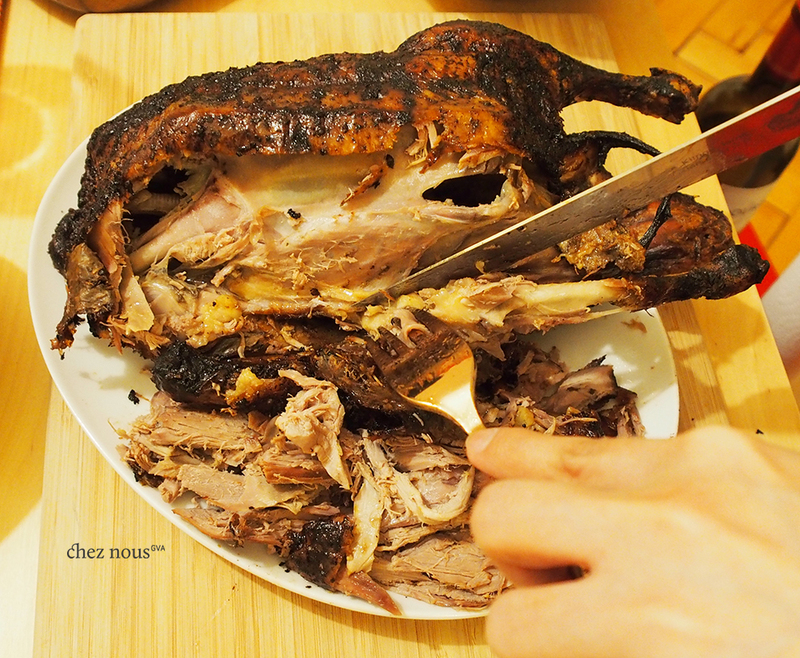 A month ago, because it was the Chinese new year, we, chez nous, together with some friends decided to celebrate the beginning of the lunar year of the sheep/goat/ram. In other words, we thought this was a perfect excuse to try out some Chinese recipes we wanted to try (or we never thought we’d try). 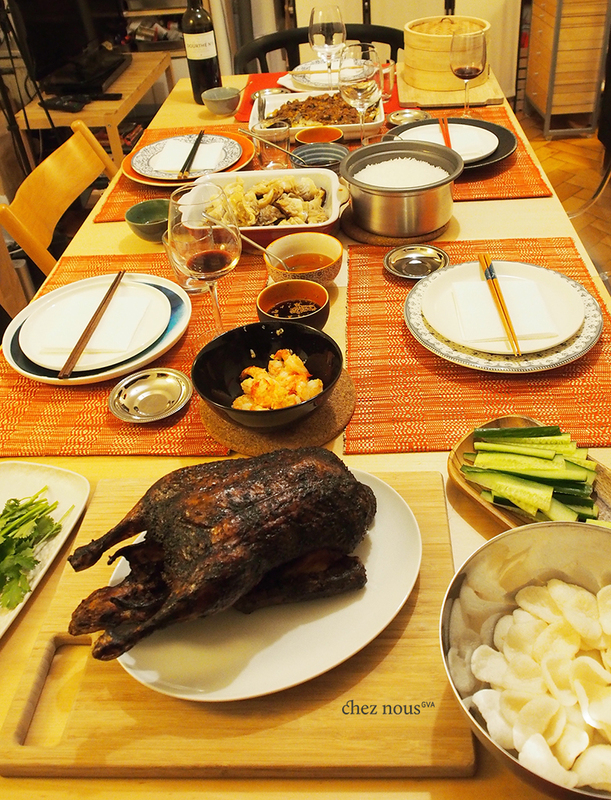 I still cannot believe that we actually made – yes, made – Peking Duck. Peking freaking duck. We also cooked up 2 steamed Sea Bass and loads of dumplings. 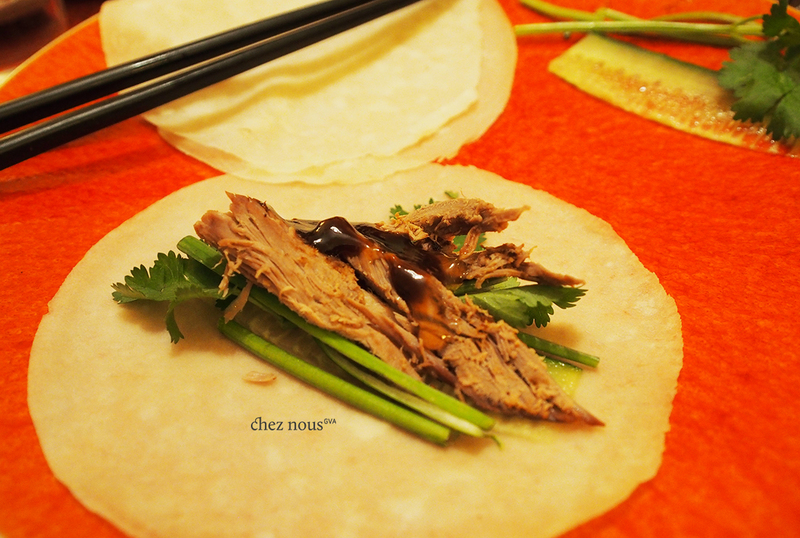 Initially, we thought of creating everything from scratch including the pancakes for the Peking duck. It seemed like a good idea since we wanted a meal that was completely homemade. Well, after writing down our menu, it dawned on us – making everything from scratch in one day would be an ordeal. So screw the all-homemade option. There’s no way for us to finish all the dishes in time for our dinner. Nonetheless, we only gave in to the ready-made dough for the dumplings and to the pancakes. So don’t write us off just yet. 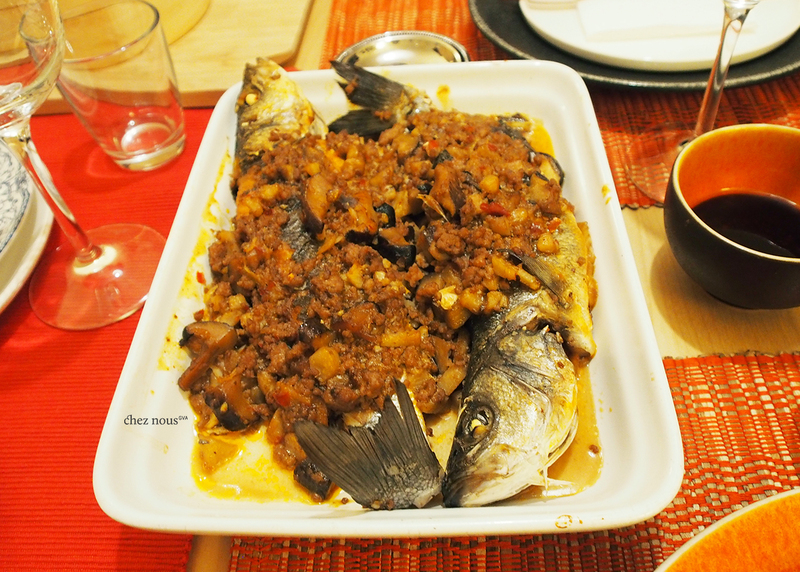 A feast for five for a prosperous Chinese new year! For the dumplings, we tried out the Dumpling Sisters perfect potsticker dumplings, which was a no-brainer hit. 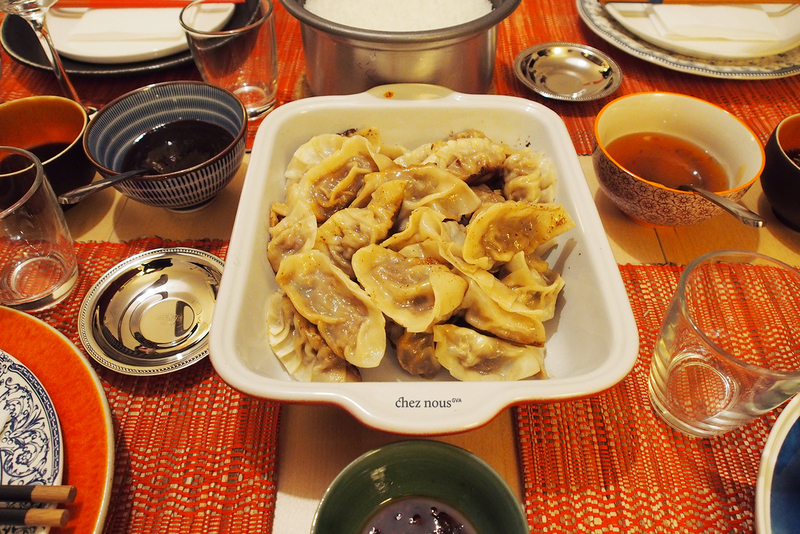 I mean, dumplings, seriously. Look at those colours! We tweaked their recipe a bit by adding minced shrimps and grated carrots, and by using water chestnuts instead of bok choy. We tried to follow a traditional CNY menu, so on top of the dumplings, we steamed 2 Sea Basses following the tradition of having a whole fish in the menu. According to the Woks of Life, “the (chinese) word for fish sounds similar to the word for surplus, or abundance.” So bring on abundance this year, please! Finally, the main act for the night, the Peking Duck. 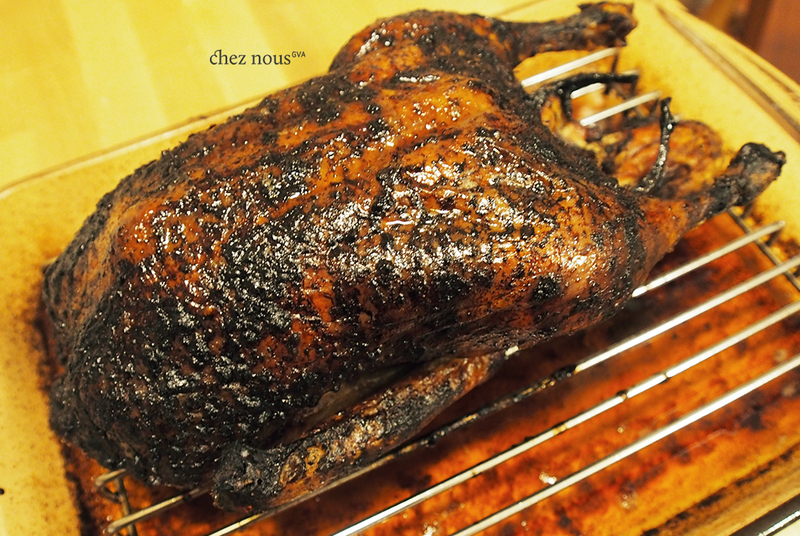 We looked up a lot of recipes on how to make Peking duck at home. There were apparently different ways to tackle it. 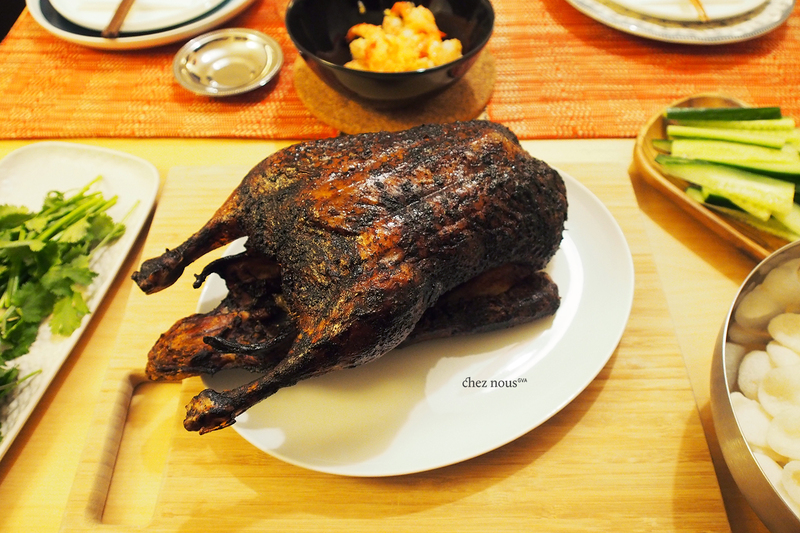 Since we were short of time, we picked Jamie Oliver’s Peking duck recipe, (page 112 of Jamie magazine, The Asian Issue), as that wouldn’t need more than a day to make. 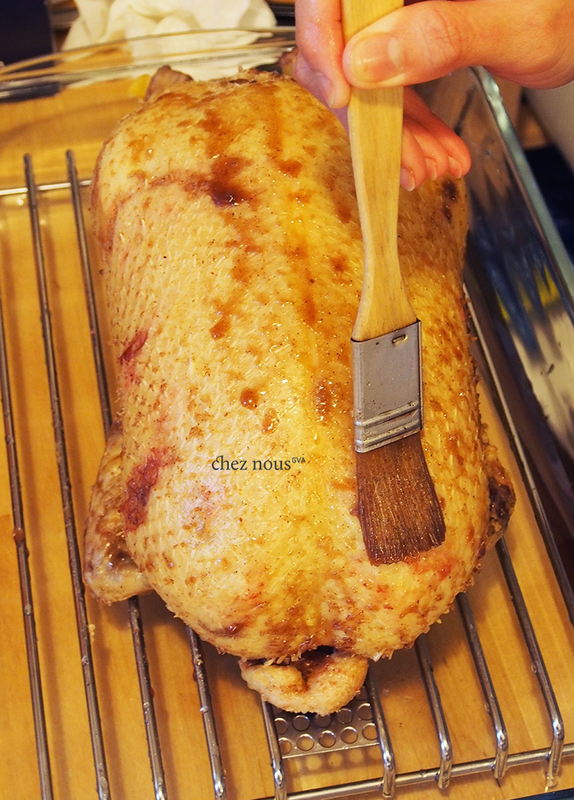 This step-by-step guide was absolutely of great help, especially to us Peking Duck amateurs!